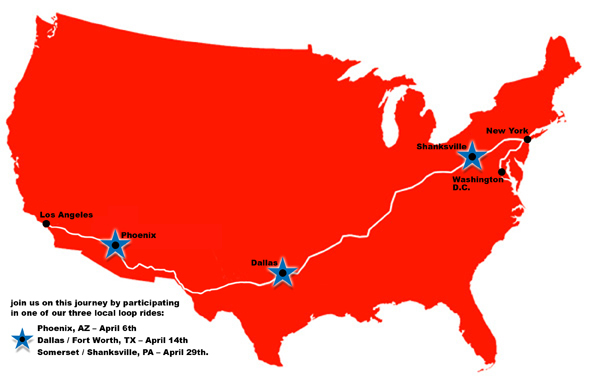 The following is a complete list of all the stops for Airline Ride Across America. I-10 South, exiting at Hwy 20 (N. Mesa St.) into downtown El Paso to El Paso City Hall. From El Paso City Hall to Fort Bliss. From Fort Bliss back to I-10 and then continuing on to Van Horn, TX.